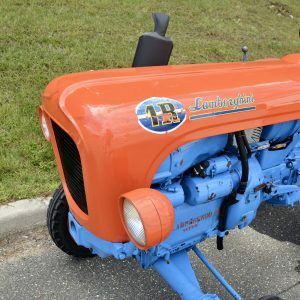 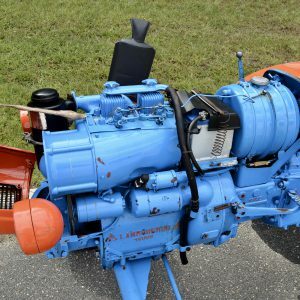 1966 Lamborghini 1R Tractor. 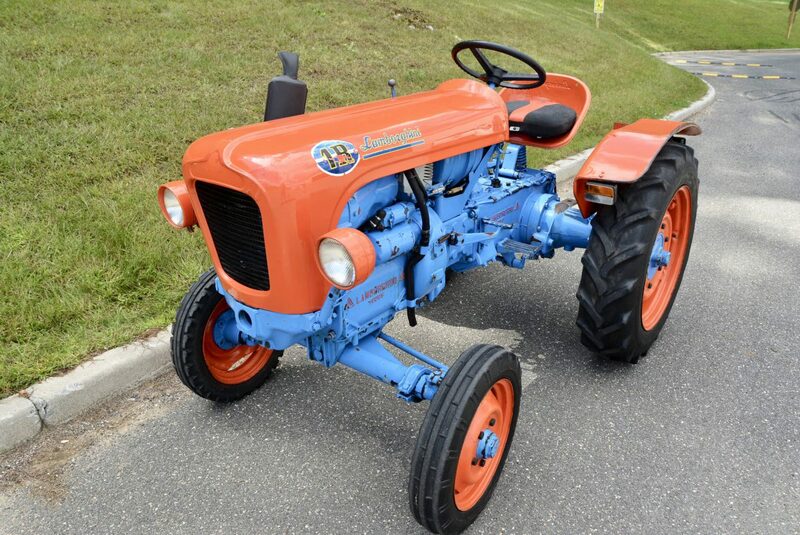 This rare 1 R Tractor was recently acquired from the family who purchased the tractor when new in Modena, Italy. 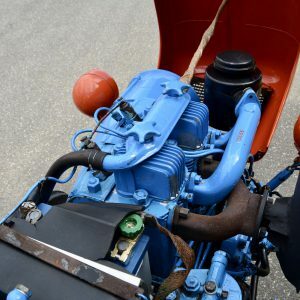 Powered by an air-cooled 2-Cylinder OHV diesel engine and paired with a 3-speed gearbox with a hi/lo transfer case, this example is a largely original example that was given an extensive cleaning and detailing by the previous owner in lieu of a full restoration. 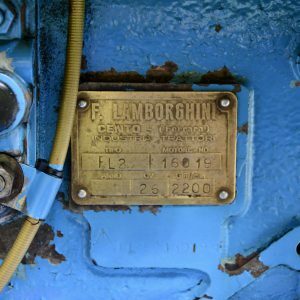 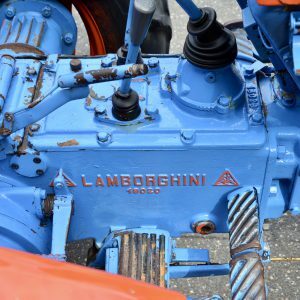 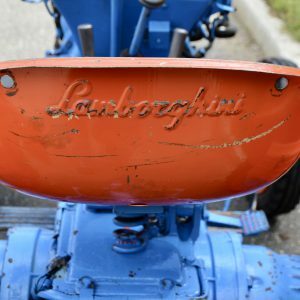 Founded in 1948 by Ferruccio Lamborghini, Lamborghini Trattori would eventually become part of the tractor conglomerate in 1963 with the launch of Lamborghini Automobili. 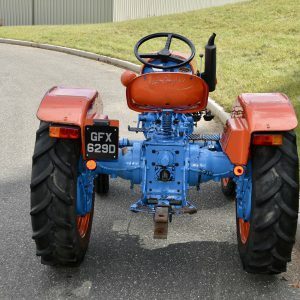 This 1R is offered and is sold on a bill of sale and accompanied by a GB registration card that corresponds to the plate on the tractor. 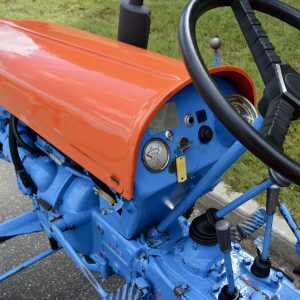 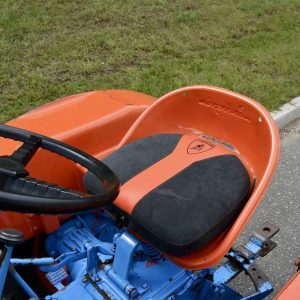 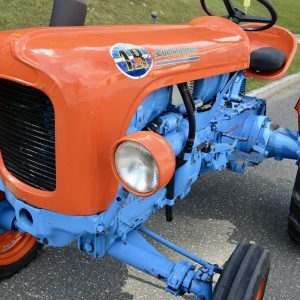 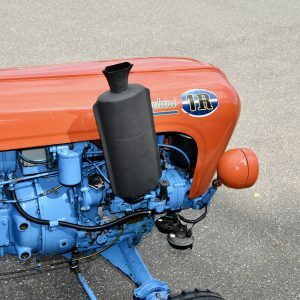 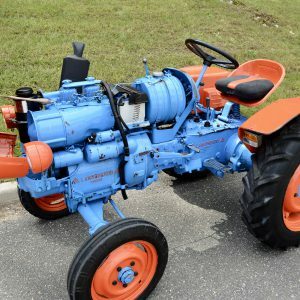 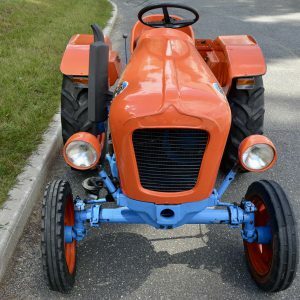 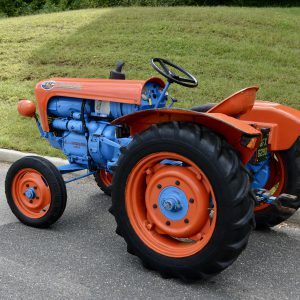 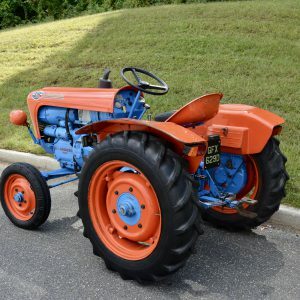 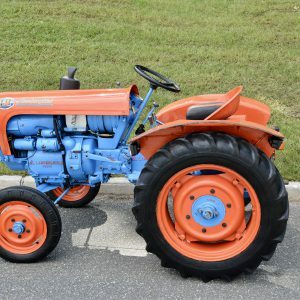 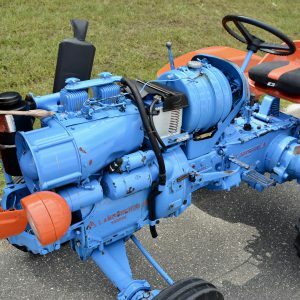 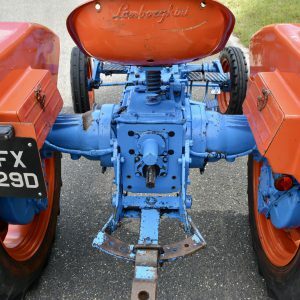 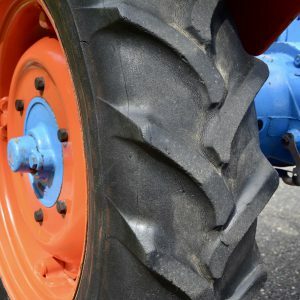 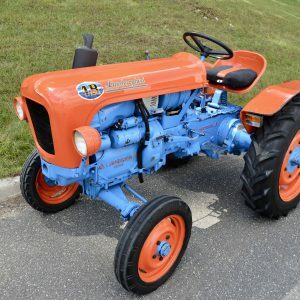 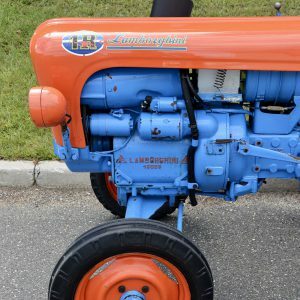 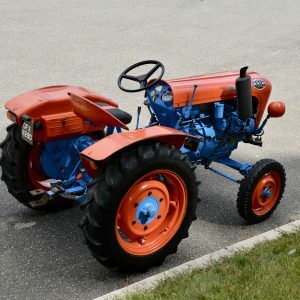 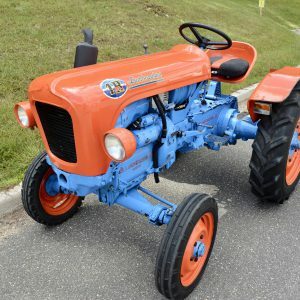 The tractor wears Lamborghini Trattori orange bodywork with contrasting blue on the mechanicals. 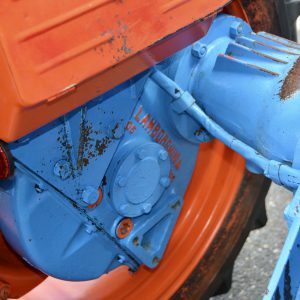 The previous owner commissioned a thorough cleaning of the tractor followed by a professional buffing to the bodywork. 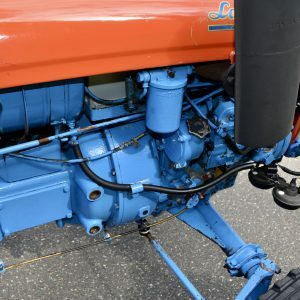 Several period scratches and blemishes remain and were intentionally preserved in keeping with the nature of the tractor’s intended purpose. 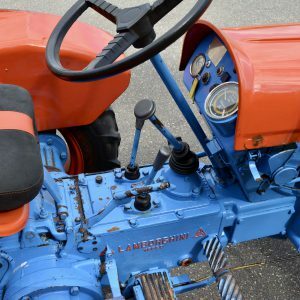 The operator’s area remains well-preserved aside from commensurate wear to the pedals and operating levers. 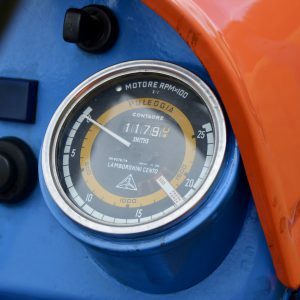 The hour meter shows 1,180 hours accumulated. 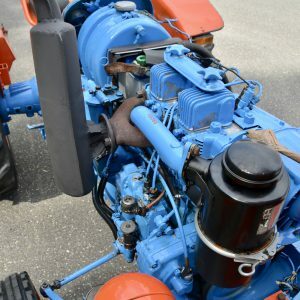 Power is provided by an air-cooled two-cylinder OHV diesel engine utilizing Bosch fuel injection and paired with a 3-speed gearbox with a hi/lo transfer case. 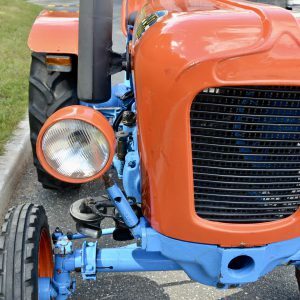 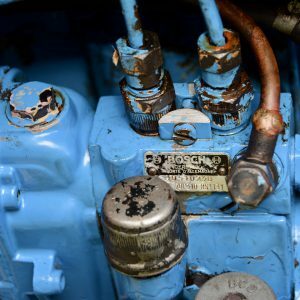 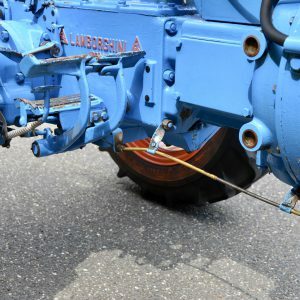 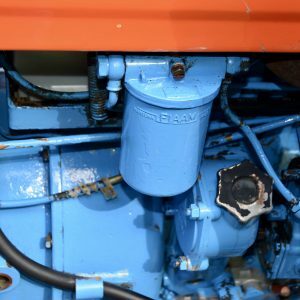 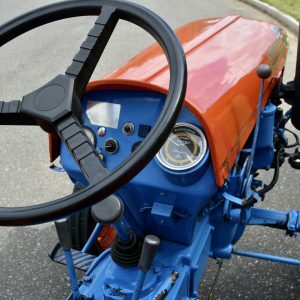 The tractor starts easily and indicates good oil pressure at both cold and warm operating temperatures. 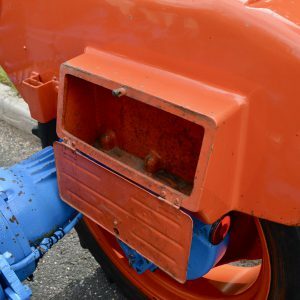 A new cutoff switch has been fitted.